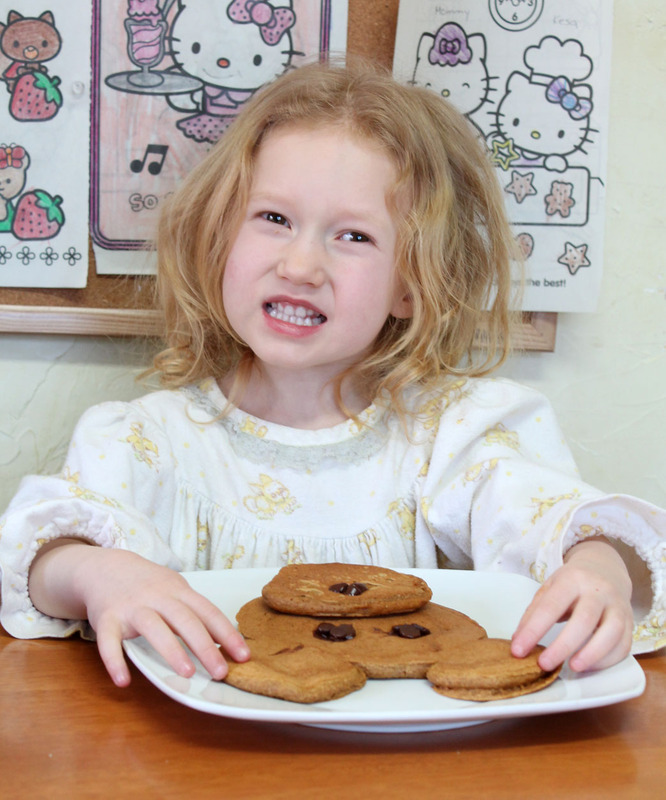 Gingerbread Pancakes | Live. Learn. Love. Eat. This is a recipe that I have been keeping from you for a while now (sorry). 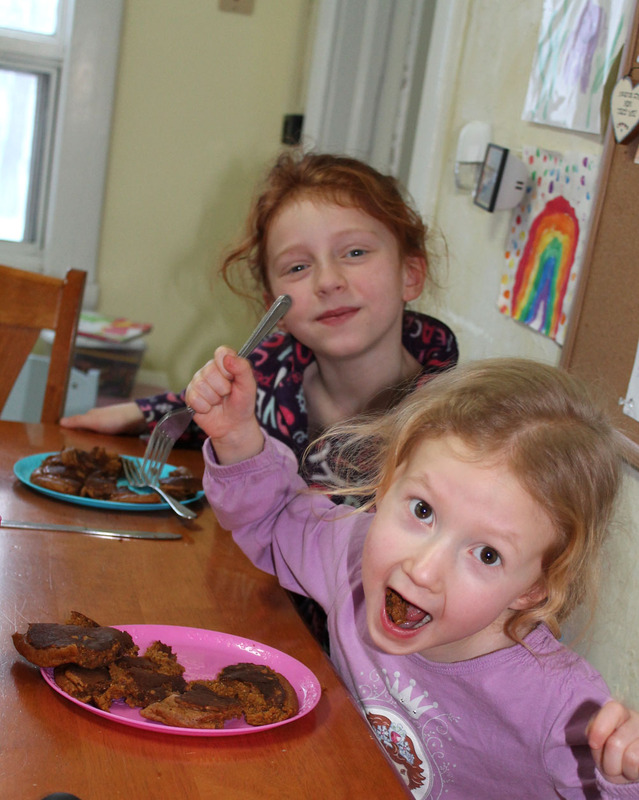 It is my favorite pancake recipe because these taste just like a gingerbread cookie! 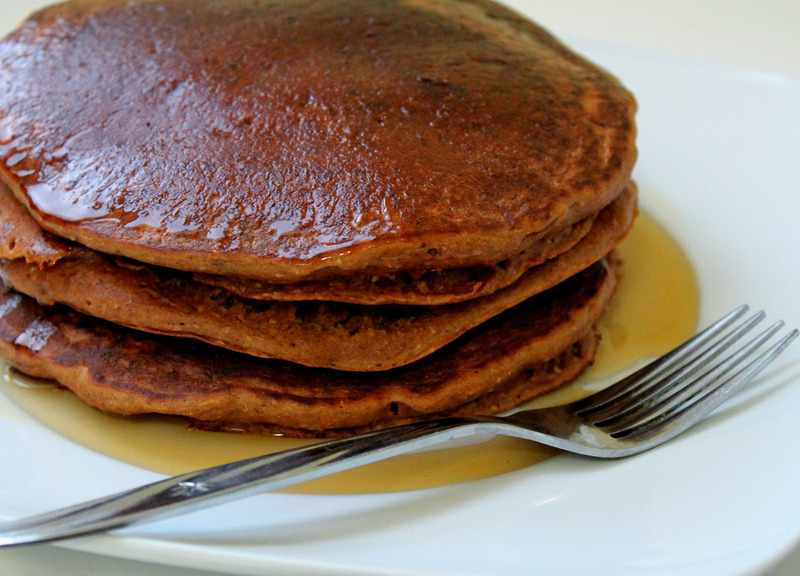 These pancakes are nothing short of amazing when drizzled with pure maple syrup. Magic happens. Heat a non stick skillet on medium heat. In a large mixing bowl, combine the flour, baking powder, sea salt and spices. In a separate smaller bowl whisk together the ground flax seed with warm water and let sit a few minutes to thicken. Add the sunflower oil, molasses and milk and whisk again until smooth. Add the wet ingredients to the large mixing bowl along with the flour and spices. Pour 1/2 cup of the pancake batter into the heated skillet and spread the pancake around by lifting the pan by the handle and sliding the batter into a five inch large round shape. Cook until small bubbles start to appear through the batter. Flip the pancake over and cook a few minutes more. Repeat to make 4 or 5 pancakes. Serve with vegan margarine and pure maple syrup. 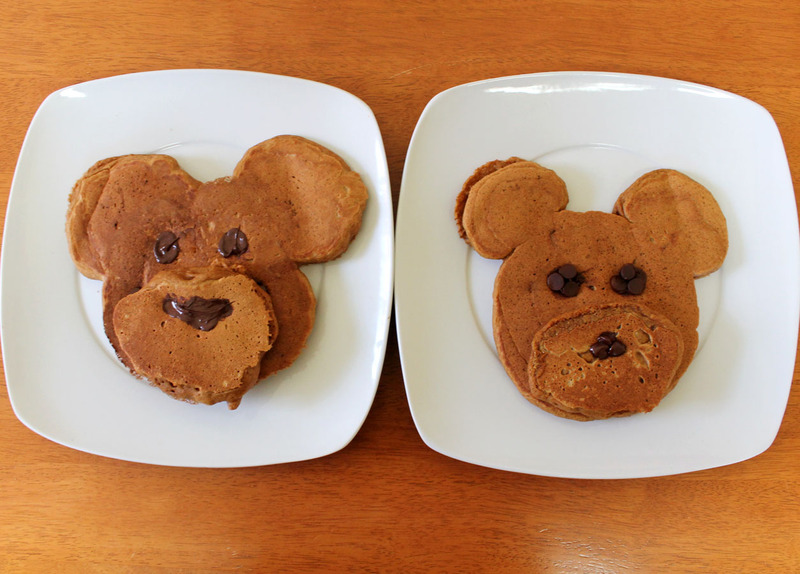 Today I decided to make the pancakes fun for the girls breakfast by turning them into bear faces. 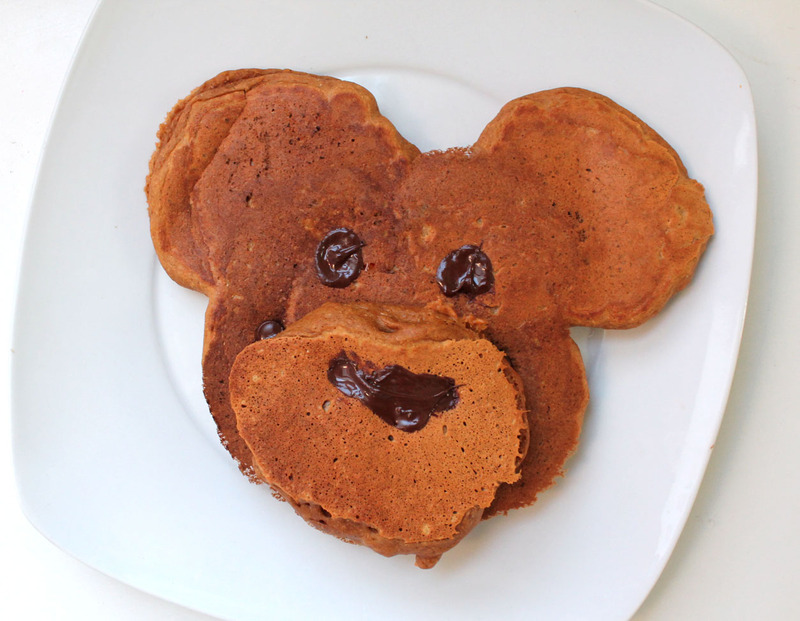 I made the regular round pancake and added two smaller round drops of pancake batter on top to make two ears. 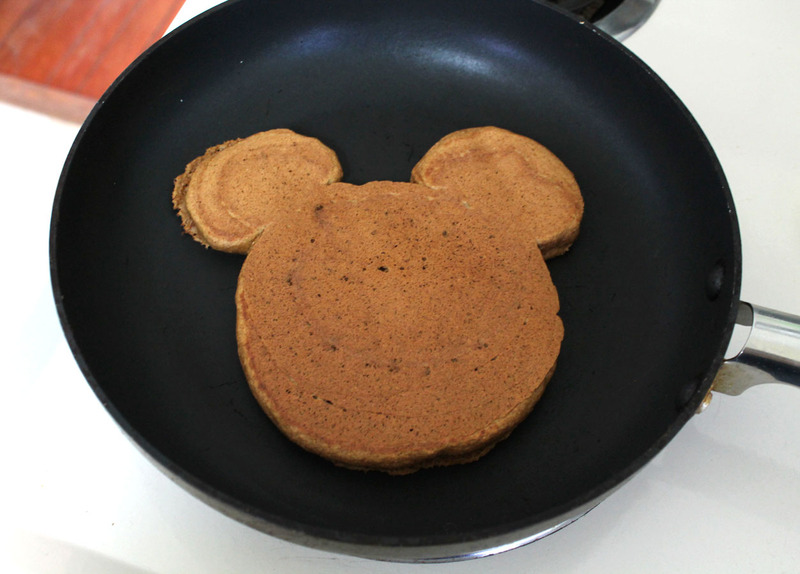 Autumn said that they looked like Mickey Mouse pancakes! 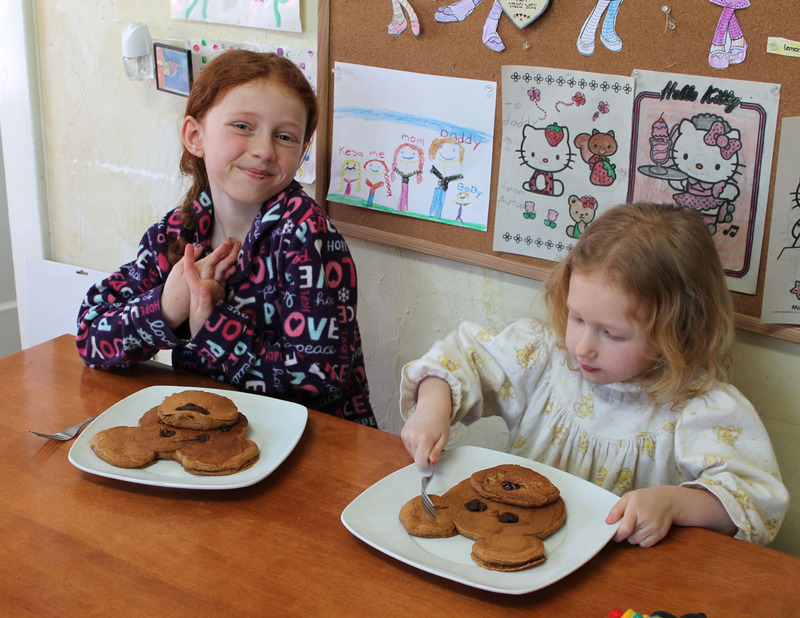 I also made two smaller round pancakes for the bears snout. Then we just added some chocolate chips for the eyes and nose. 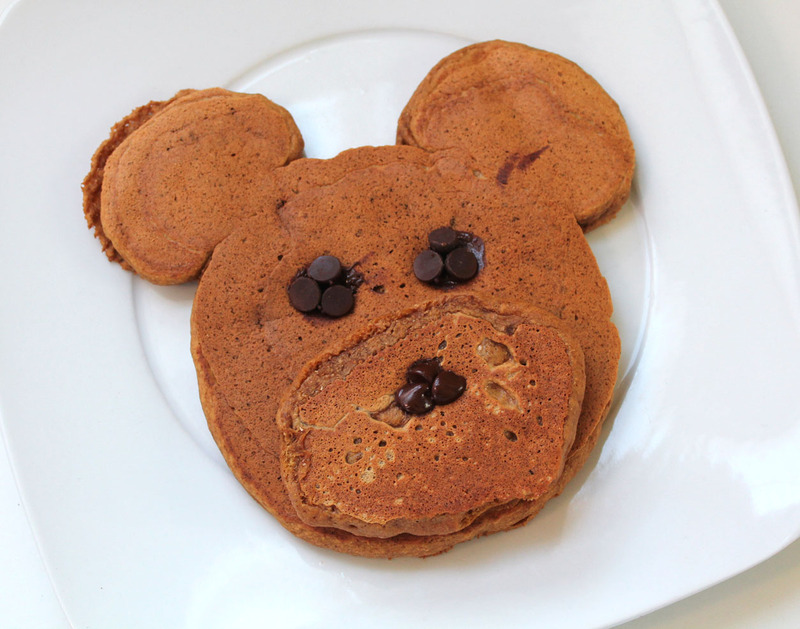 One of my favorite kinds of pancakes as well – but I’ve never eaten them as bears ;-)! Can’t wait to try these sun am my kids will love them! Pingback: Trial and error [this is gonna be fun] « Move. Eat. Breathe. Pingback: Favorite Fall Recipes | Live. Learn. Love. Eat. I made these tasty pancakes & they were superb! 🙂 MMM!